A look into Olas Verdes, a Costa Rican hotel that is pioneering the sustainability movement in Nosara. Throughout my travels, I’m constantly on the lookout for businesses that can balance financial success with a consciousness of how their development affects the world around them. My recent visit to the developing beach town of Nosara, Costa Rica, revealed that it is indeed possible for a business to change and evolve to meet market needs without sacrificing principles, vision, or purpose. 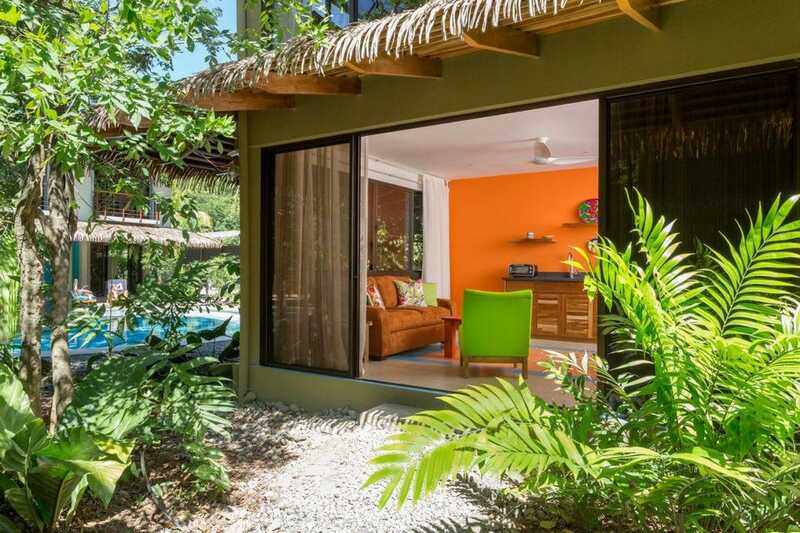 Olas Verdes is a prime example of a business which, as Nosara has become an increasingly touristy, expat spot, has needed to figure out how to thrive financially while adhering to sustainability practices. An interview with Luis Pardo, the General Manager of the property, reveals in detail the socio-economic development of this region and how businesses have managed to have a positive impact on the community and environment—while still making a profit. Celinne Da Costa: Tell us about Nosara and the socio-economic changes it has undergone in the past few years. 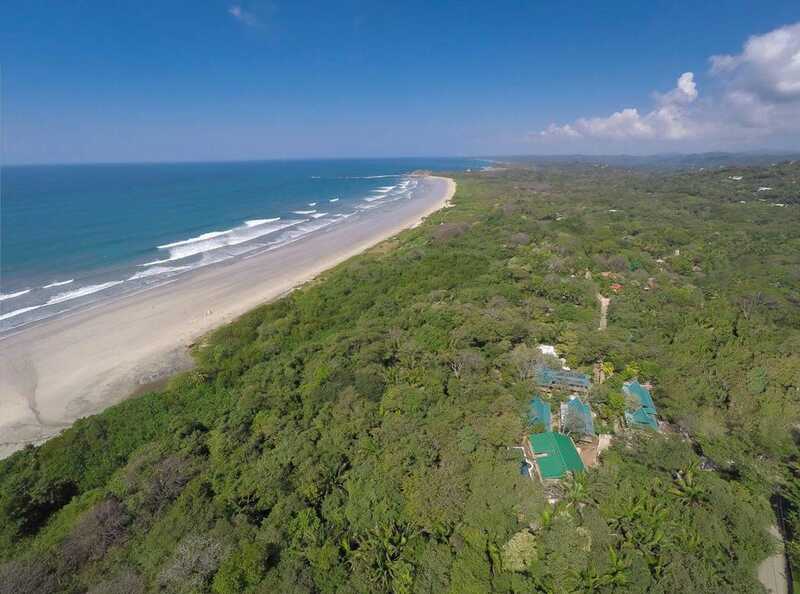 Luis Pardo: Playa Guiones in Nosara is a small, multicultural yoga and surf community located in Guanacaste, the North Pacific side of Costa Rica. Due to the lifestyle and environment, it’s also part of one of the five Blue Zones, where people live longer and healthier than anywhere else on earth. The remoteness and beauty of this previously Guanacastecan cattle area and fishing town attracted a few soul surfers, yogis, and adventure travelers who returned year after year. Today, Nosara has a large expat community partially because of the visitors who loved the area so much that they decided to call it home. With the locals, they contributed to wildlife preservation efforts, funded and volunteered for the fire department, and opened a private bilingual school. Before we knew it, a culturally and environmentally conscious community was created in one of the most interesting coastal towns of Costa Rica! Nosara, which was previously isolated and poorly infrastructured (there were terrible roads and no bridges for many years), has a slow but steadily growing local economy where people have a shot at succeeding at entrepreneurship without facing the pressure of being displaced by giant competitors. When mega-projects hit low-pace economies, the communities generally become spectators of progress and potential candidates to the lower wage positions. These projects need to hit the floor running and have no time or tolerance for people to adapt or develop talent. Nosara has been different in that respect, and holds one of the highest rankings for the 2017 Social Development Index for being a place with high quality of life and opportunity. For example, small grocery stores have grown into main supermarkets, almost every building has been constructed by local companies, and many Nosara natives are now successful business owners. Da Costa: How has the hospitality industry evolved to meet tourism needs? Pardo: The first lodging facilities in Playa Guiones were opened by people with a vision to move to a paradise beach, live in endless summer weather, breathe pollution-free air, eat fresh organic products, and be part of a dynamic community. Many didn’t have a clue about how to run this kind of business, but gave it a try and figured things out along the way. Today, most of the hotels have between 4 and 30 rooms, which gives everyone the chance to grow and compete. In the beginning, services were very basic and limited. The hotels have improved significantly, along with the restaurants, yoga studios, surf schools, etc. Even so, most businesses have chosen to remain simple, laid-back, friendly, and environmentally conscious—that’s what makes Nosara so special. The Olas Verdes project was conceived out of a philosophy to involve the community from the ground up. Normally when businesses have to “give back” to the community, it’s because they took something from it. This is not the case. 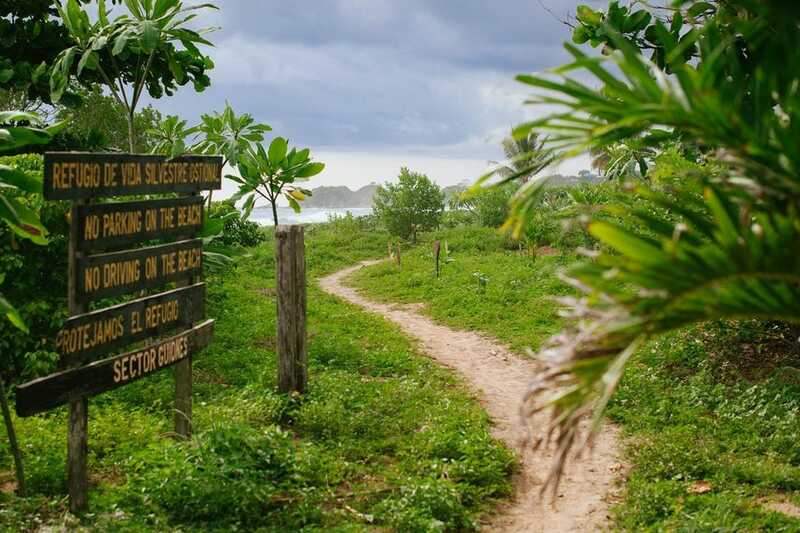 The owners, which have been coming to Nosara for many years and were already implementing sustainable practices at the Safari Surf School since 1999, were invested in preserving the local environment and community. The vision was clear from the beginning: to create a hotel establishment that was fully committed to minimizing the negative impact on the environment while having a positive impact in Nosara. Olas Verdes is aware of the responsibility it has of running an establishment near the fragile Wildlife Refuge area, and as a result, we built the first Platinum LEED certified hotel in Costa Rica (making it the first surf hotel in the world with this award) and have been granted the CST (Sustainable Tourism Certification) for our consistent sustainable practices. These were challenging feats. Hotels and restaurants are amongst the biggest pollution and waste producers, and consumers will generally demand what works best for them—regardless of the environmental impact. It is the business’s call to draw the line, and that in itself can be a cost (e.g. lost revenue, investors not willing to risk it, etc). Little by little, you earn trust and attract responsible travelers, which make the efforts worthwhile in the long run. Running an environmentally friendly business is a continuous and challenging learning process, but very rewarding when done right. Da Costa: Explain the development of Olas Verdes as an eco-friendly hotel, and what you’ve learned about successfully growing a sustainable business. Pardo: Olas Verdes Hotel has quickly positioned itself as one of Nosara’s leaders in conservation: according to ASADA’s (the water company) monthly published reports, our water consumption is a third of hotels of similar size and occupancy and we produce 20% to 35% of our electric energy with solar panels. Since opening in December of 2015, Olas Verdes has impressively grown in sales, overperforming by 21% of what was projected during its first year of operation (2016), and closing 2017 with a 47% increase in sales. Our 2018 projections show that profits will continue increasing significantly. It’s important to note that we have not sacrificed our associates, suppliers, and business partners to obtain that profit. We do business fairly and believe in taking care of the people who are part of this establishment. For example, our employee benefits include free English lessons, skills training, meals, uniforms, and wages that are 11% to 60% over the minimum wage. This has helped tremendously with talent retention: 82% of the staff has been with us for over 24 months, and we’ve been operating for 28 months! Being rated one of the most popular hotels in Nosara by TripAdvisor, Expedia, and Booking.com, and having one of the highest average occupancy rates amongst our competitors, have pushed us to raise the bar both in service and conservation. Da Costa: What are the secrets to building a business that is sustainable and profitable? 1. Empower your staff: Our staff is without a doubt the biggest differentiator from our competitors. They are all locals with diverse backgrounds but sharing values such as honesty, adaptability, and respect. When we hire, we focus on developing their skills according to who they are as people, instead of trying to change their personalities or make them memorize scripts. We want them to be proud of who they are and what they do. 2. Protect your values: We built this establishment on a specific set of values, and having clarity on those values allows us to uphold our mission. Our values were jointly created by our staff in 2015 and include equity, respect, social responsibility, authentic hospitality, empathy, and teamwork. We recognize that Olas Verdes is not for everyone precisely because of our sustainability-focused values, and that’s okay. For example, we don’t have much of a nightlife, it’s a difficult area to get to, we don’t use strobes, and we do not offer beach chairs and umbrellas in an effort to preserve the natural look and feel of Playa Guiones. In return, you enjoy a simple, healthy lifestyle and a natural coastline full of nature and wild animals instead of restaurants and parking lots. 3. Awareness of the environment: We are aware that we need to take action that goes above and beyond minimizing the negative impact that global warming has had on our environment. This means paying attention to important details: for example, all our products and amenities are biodegradable, our water heating is solar, and we have cut our energy consumption by nearly 22% by not ironing the linens and not placing hair dryers in the suites. Guests are provided with complimentary bicycles to explore the town and encouraged not to rent vehicles, which has helped to reduce the carbon footprint while preserving air quality and a noise-free ambiance. Da Costa: How does Costa Rican culture influence your business philosophy? Costa Rica is known for its Pura Vida philosophy. Although it’s become a bit of a cheesy phrase, it still means a lot to us. It is a positive attitude towards our daily challenges and reality, as well as gratefulness for what we have. In Costa Rica, we believe that time is one of our most precious treasures. Sharing a moment of our lives with a person we just met, regardless of who it is, is part of our hospitable Pura Vida way. With this approach in mind, our staff was hired because of their positive attitude, their non-verbal language, how they respond to sticky situations, their pride for their roots, and their big smiles. We are glad to have such a variety of personalities who are proud of their culture, essence, and personal achievements. Living in a tiny country that is home to 5% of the biodiversity of the world has many benefits, but also a tremendous responsibility. Having a sustainable operation is no longer a choice—it is a commitment. As consumers, we have the power of changing business models by choosing those that stand by their vision and values. Celinne Da Costa is a brand story coach, writer, and traveler sharing stories of humanity, life design, and self-discovery. Follow her journey on CelinneDaCosta.com and @CelinneDaCosta. Experience culture, sanctuary, and pura vida at a sustainable boutique beach hotel in Nosara. There are no addresses in Costa Rica, but we still send mail when it matters. Sign up for our newsletter and we promise you won't feel too much travel-envy. Okay, maybe a little bit.